Three Pipe Problem: The rebirth of Florence as cultural innovator? The rebirth of Florence as cultural innovator? Gozzoli's Procession of the Magi is as much about the commercial interests of the Medici and fifteenth century Florence as it is a depiction of a biblical event. Most visitors to Florence will marvel at its aesthetic wonders - its art and architecture are among the world's greatest cultural treasures. Its most popular attractions, the Uffizi and the Galleria dell'Accademia (the latter housing Michelangelo's David), attract a constant throng of visitors. Yet, there is certainly more to Florence than its blockbuster exhibits. It is a city perpetually frequented by artists, scholars and students, each seeking their own personal experience of the city's unique legacy of learning and innovation. 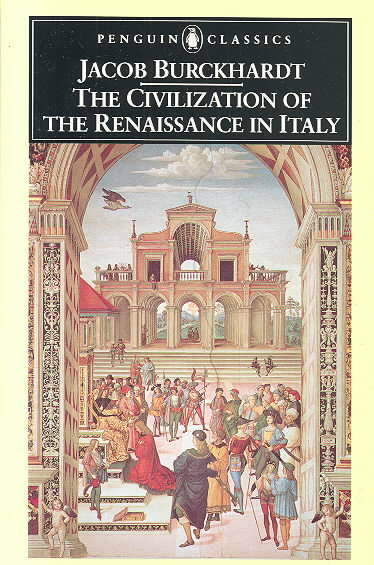 Burckhardt's idealised vision of Renaissance Italy is still commonly read to this day. It is this Florence that I hoped to see when I visited in 2010. Wandering about the city as one tourist among many, I felt some disconnection with the perception of Florence I had created by way of its art and history, studied at a distance. Admittedly, this perception of Florence was an highly idealised narrative inherited from the popular writings of historians - From Jacob Burckhardt to Gene Brucker, and the wondrous philosophical dialogues in Roberto Rosellini's memorable film, The Age of the Medici. Each of these lauded Florence as the "Heart of the Renaissance", a vital centre for knowledge and innovation. In many historical narratives, princely patrons like Lorenzo “the Magnificent” de’Medici intervened decisively, enabling heroic innovators like Sandro Botticelli and Michelangelo Buonarroti. There are many legendary events that have become part of the air we all breathe and these usually take the form of highly personal encounters—of intense emulation spurring gifted individuals to achieve their utmost. We think immediately of Filippo Brunelleschi and Lorenzo Ghiberti’s competition for the commission for the Baptistery’s Gates of Paradise. Then there was the famous contest between Leonardo and Michelangelo, the defining artists of their age, each assigned a fresco in the great council chamber of the Palazzo Vecchio. According to Giorgio Vasari (one of the principal creators of Florence’s cultural mystique), artists from Italy and abroad hastened to Florence to see the astonishing cartoons prepared for these projects. The young Raphael, it seems, left his work in Siena—in order to join the pilgrimage to Florence and learn whatever he could. The enduring drama of the search for Leonardo's Battle of the Standard is a potent symbol of the challenges faced by modern-day Florence in preserving its historical legacy. The project is overseen by government entities, but requires private funding to proceed. When we think of Florence, we envision a strong spirit of competition and world-changing innovation. But is that still the case? Viewing the cultural achievements of the last hundred years, we need to reach back to the Florentine futurists of the 1920s and ‘30s, the early days of the Maggio Musicale and the advent of the present-day Italian fashion industry in the Sala Bianca of Palazzo Pitti in 1950s and ‘60s. But what about now? With the globally inclusive power of the web, Florence is beginning to recapture its important legacy as a centre for cultural innovation, and to implement new media strategies to embrace changes in the way cultural information is distributed and marketed. In recent years, the Polo Museale Fiorentino (PMF) launched its significant web presence. While the Uffizi does not yet have a comprehensive website such as the Prado Madrid, National Gallery London or The Met in New York, it has begun the process of using new media to engage a greater audience. 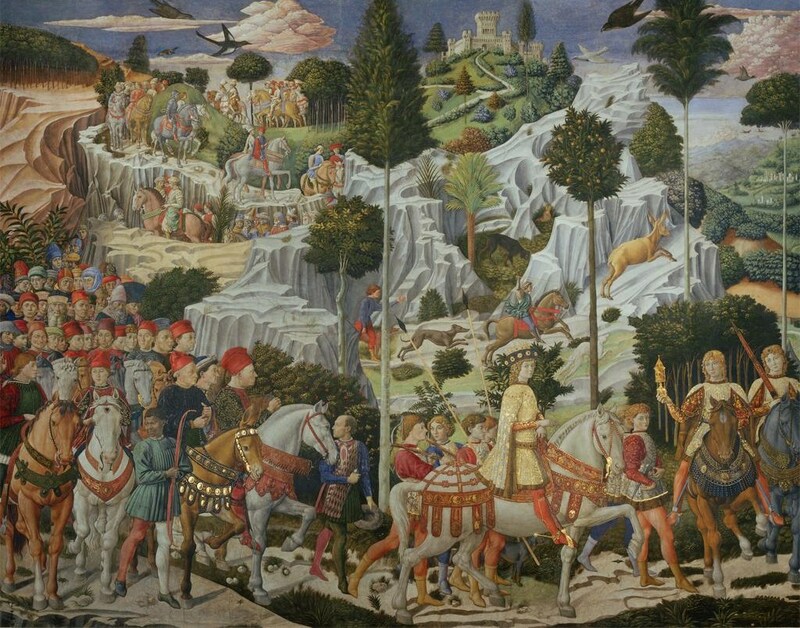 Key works from the Uffizi can now be viewed in brilliant detail at the Google Art Project. On the iPad, there is the Uffizi Touch app - a wonderfully presented showcase of 1500 works from the gallery. 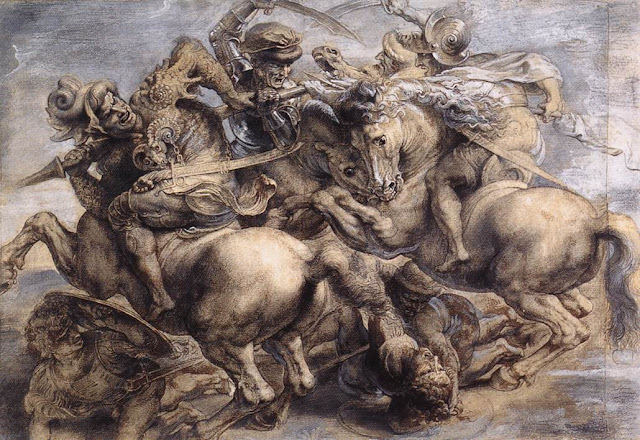 The Polo Museale Fiorentino has a steadily expanding web presence, with cultural performances and exhibition summaries posted on its YouTube channel, though it should be noted many of these are presented in Italian, and without subtitles. For researchers, the inventories of the Uffizi, Palatine Gallery and the Bargello are now fully digitised along with many other useful digital archives at the PMF site. Much work remains to be done, but it is an encouragingly positive start. To explore these issues further, as well as the broader economic impact of managing cultural affairs at a global level, the Fondazione Florens is hosting a conference in November 2012, as part of "Florens 2012 Cultural and Environmental Heritage Week". In keeping with the great innovative legacy of Florence, the Fondazione has made a bold and decisive move that will create a precedent in how information presented at the conference is promoted and disseminated. Included in their forward thinking strategy, the Fondazione is inviting bloggers with an interest in the many diverse aspects of culture and economy to attend the conference to give a "real time" account of the discussions. This presents a wonderful opportunity for bloggers to participate, learn and help spread information from key developments reported at the conference. Those selected will have their airfare and accommodation covered by the Fondazione, and given access to key events held during the conference. Following on from the success of the Prado conference coverage, I hope to be involved in this event as well. (This introductory post forms a part of my application for this). Even if unsuccessful in the application, I will be following the proceedings with great interest, and will provide an overview of conference topics and links to the coverage from the various blogs that will cover the event. Good luck to all applicants! If you would like to be involved, please visit the Fondazione Florens website for more information: link and follow @FFlorens on Twitter to keep up to date with latest news and developments. Thanks for the links - I just looked thorough their website and wish I had the time in November so I could also apply. Their themes are amazing and I am sure reading your reports will be the next best thing to going. Team Florens? What a great name for such an endevour. I will be retweeting your posts to all my followers and fellow students both at Rutgers and Koc. Wow! What an opportunity H! This is definitely a unique move from the organisers in Florence. It's about time the cultural/economic sector recognised what bloggers can do! Your coverage of the Prado symposium really made me feel like I was there, so having you reporting from Florence would be a real treat. Good luck to H and all the applicants. I cant wait to hear about the outcome and read the reports! This sounds like a great opportunity for both you and for the Florentine organizers. They will be hard pressed to find someone with your passionate devotion to the art of the Renaissance, and your knowledge of web technology. Your coverage of the Prado symposium should be all your application needs. Thank you for this, the first post online so far as a Team Florens application! As I expected, there are already comments and 3pp readers ARE interested in Florens themes! Thank you Sedef, Stephanie and Frank for your comments. Please do spread the word about the contest and encourage Hasan as a contestant. As a contemporary resident of Florence i can see how it would look to an outsider that nothing innovative is happening here. In the world of the arts, perhaps this is true. In terms of innovation from a business perspective, Tuscany is positioned better than the rest of Italy, and the city is quite vibrant now, so perhaps we are gearing up for a sort of next 'renaissance'. Where there is exciting new ideas in art/history online, it seems "Three Pipe Problem" is always involved! This is an interesting development from the Fondazione, and may set a positive standard for other conferences. I can estimate there must be some very talented person who convinced the organisation about this! I wish they worked in my department! Good luck to you Hasan Niyazi in this application. As Dr. F has already stated - your hard work in Madrid is a clear example you are a qualified candidate for this assignment. Good luck in your application, H! You have already proven your dedication to learning, academic conferences, and art history through your excellent coverage of the Madrid conference on Raphael. You have raised some interesting questions in this post, too. Of course, as a historian, I am interested in what types of historical influences may have impacted the level of innovation found within a geographic center. 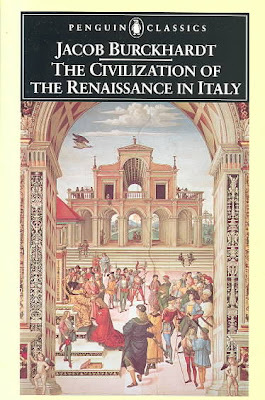 It would be interesting to explore how economy is affecting artistic innovation (both today and in the Renaissance). If today's Florence has the funding (and strong enough economy) to embrace new media strategies, it seems like cultural innovation is bound do happen and continue to happen. Let's hope that the economic downturn doesn't negatively affect what innovation can take place. Good luck! and best wishes. Thanks for these astute observations and for the excellent links. I'm interested in the connections between Florence's current self-perception and the strong civic self-consciousness evident in the Renaissance (to take just one example: Alberti's preface to "On Painting"). I hope to hear more about these issues in Three Pipe Problem, and can think of no better blog to cover the conference than 3PP.... Good luck! Many thanks to all for the kind comments and encouragement! It would indeed be a fabulous opportunity - not only for the participating bloggers individually, but to advance the cause of using the web to promote such events and spread information. Let me add my best wishes for your application, Hasan. I won't be able to get back to Florence anytime soon, but I would trust in your ability to accurately report and critique the Fondazione conference.